We would like to give people the opportunity to SAVE A SEAT at the Great Passion Play. 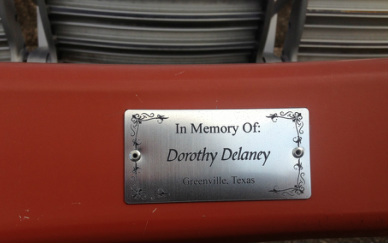 For a donation of $100-$1,000, we will put an honorary plaque on the chair backs of the seats of The Great Passion Play "In Memory of...," "In Honor of...," or "Donated By..." your church, organization, business, or individual. This will help us have enough operational funds to make the Passion Play and everything on the grounds better than ever! Will you join us in this cause? 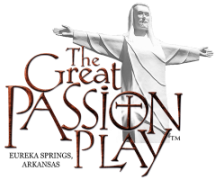 In appreciation of charitable contributions greater than $250 to the "Save a Seat" at the Great Passion Play campaign, we would like to give you 2 complimentary season passes for the 2019 Great Passion Play Season. Please request this upon donation. 1. Click below on the seat option. 2. Click on if you would like the donation to read, "In Memory of...," "In Honor of...," or "Donated by..."
3. Put the name of the church, organization, business, or individual you would like to be on the small plaque. 4. Write the name of your town/city and state. 5.Click on Pay Now! All donations are tax-deductible. You don't need a PayPal account to make a donation. You just complete the checkout as a GUEST.